The Quest: While there are many news analysis floating regarding the clean sweep election win for the BJP, we at #The Quest assure you that with this blog post we promise to keep you informed and nothing more than that. It was a clear and clean sweep for the NAMO led party, for its extremely hard working on the ground through the help of media and there smart campaign strategies. While digging deep, it was found under a report published by the CMS that from 1st March to 30th April 2014 and till the present day almost 32% – 45% of the media coverage was focused on the Prime Minister’s campaign and presence. With this article, we plan to focus and put some light on some issues which were left unnoticed in reference to the Smart City and their transformation promise left from the list of the year 2014 election campaign. 1. Proper electricity and water supply. 2. Cleanliness & Hygiene maintenance. 3. Settling the commuting & transportation services. 4. Providing for homes at nominal rates. 5. Progressive Information & technology and digitisation. 8. Education and Health Centers. According to a survey conducted in 2015, which shows that the government released the list of 97 shortlisted cities out of which only 60 were selected. Later, in the year 2016 out of these selected cities, only 20 cities were seen where the smart city plan actually began. 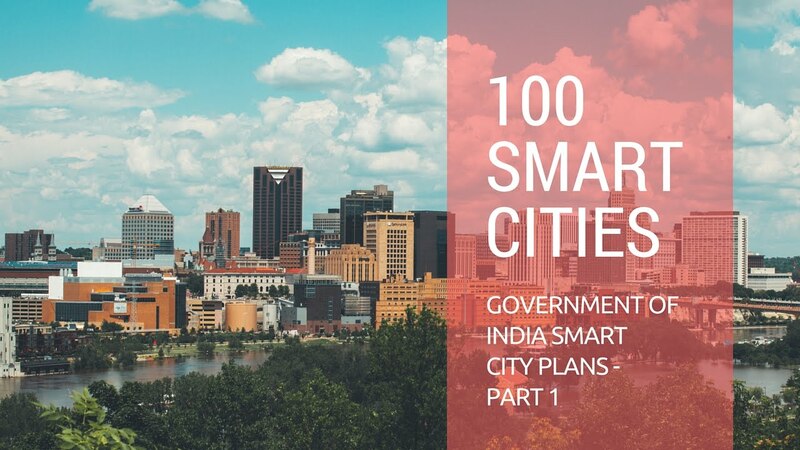 *the promise for 100 smart cities was decreased to the number of 60 and then to 20. While making the promise in the beginning the NAMO led govt. had announced that these chosen cities will be funded with a budget of Rs.500 Crores both from state and central governments, which while digging deep in the allocation of the budget it was found that the budget of Rs.500 Crore is an impossible amount to suffice the needs and resources. Presently, the total investment has reached to Rs. 46, 366 Crore and out of the listed 731 cities there are only 49 cities where the work began and is still in progress, thus, resulting in 3.3% of the program development .i.e. meagre 24 complete projects under the smart city plan* since its very inception. While researching about the reasons behind the slow pace of progress of the smart city plan we found that the core reason was that there is no definitive responsibility given to any certain organisation/authority/person for which they/he should be answerable for. Another essential reason which came in front of us was that the local public had no inputs to give in the project, whereas, this is one and the foremost important need in order to know the requirements from those who actually need it. While reading the documents the team learned that the policy suggested, to create ‘Techno-bureaucratic zones’ to overcome any issues. These zones are said to reduce the need for common man’s input. However, in reality, these zones are nowhere to be found. Where have we reached? The real position of present Indians. The researchers and reports along with the grass root interactions with the unreported, unshown common man show how much have we actually gained from the initiatives started by the NAMO govt. What we need to do is the real research, a SWOT of everything which is for us. For years and present, the situation of an Indian hasn’t changed, the common Indian man the same population which has chosen the present government has gone through no transformation even after the occurrence of famine resembling situations. The process to choose a government is totally on the basis of a popular face pattern and not on the ground level work. Presently, a number of people we have interacted with almost 90% of them have voted for the sake of Modi, on the basis of his popularity (which has a huge media cooperation) and not for their candidate who stood there representing their parties. In a situation where as an Indian we need a better management of sewage pipes and water distribution, we are getting attracted on the false hopes given to us with an imagination which is not even a primary concern, such as parking areas. We hope, that soon we the people of India realise our real need and demands and choose well, instead of focusing on a cinematic appearance, otherwise the future of wrath is near where the term secular, development and united and vivid culture will become a mere history and nothing else. P.S: we support no party and no community in terms of elections. It is just a narrative where the author and the team have given its inputs after their ground-level research in reference to their media biases.